Logistics Support International, LLC deals with all modes of transportation, warehousing, freight payment, customhouse brokerage, third party warehousing, and distribution services. Logistics Support International, LLC will conduct a network or baseline analysis of your current logistics activity and identify; the physical flows [lanes & volumes], the total transit times, and the total cost associated with the product from manufacturer to end customer. This baseline analysis is a critical step in the process of identifying logistics costs, establishing objectives, defining improvements and implementing cost saving plans. Logistics Support International, LLC will help you determine your optimal distribution network. We will identify the appropriate physical infrastructure (number of plants, production lines, and distribution facilities) to support your supply chain at your optimum cost structure. Logistics Support International will help you identify the costs and benefits of outsourcing various functions such as, but not limited to, freight payment, warehousing and transportation. We will develop a comprehensive analysis identifying all aspects of cost and service related to the function. We will then help you weigh the factors against your company goals to determine if outsourcing is right for your company. On behalf of the client, conduct contract negotiations and negotiate the basic order agreement [BOA] with service providers to secure the most favorable rates and services, adding logistics value, not high costs. Provide ongoing customized carrier performance reporting and management services. We can also identify, recommend, implement, and train your resources to conduct your own carrier performance, management, and reporting programs. Rates including base rates, accessorial costs associated and definition of inclusions or exclusions. Freight Bill Prepayment Audit and Post-Payment Audit Programs. We will work with you to implement a program that will identify and report costly errors due to the application of incorrect rates, classifications, discounts, and accessorials, by recapturing and/or avoiding these potentially lost dollars. Develop and implement a loss and damage claims program. The program will include educating your personnel on the terms of sale, required documentation, filing requirements, statute of limitations, negotiating settlements and opportunities for loss and damage prevention. 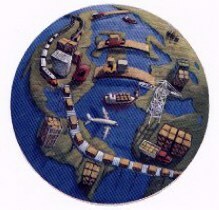 Provide training for import/export operations to develop and implement processes, identify and contract with service providers [customhouse brokers; freight forwarders; carriers, intermediate warehousers; packaging facilities etc..] to optimize the international process or; analyze your current international process and network to identify potential cost savings and/or opportunities to streamline your process.